in Europe utilize a wearing trial within their tenders as part of the evaluation process of products. Within these ergonomic trials armour is accessed in relation to how it works/feels within a range of movements set to mimic every day operational duties, it is also accessed as to how comfortable it is whilst in shooting positions both prone and standing. In all tenders we are reminded that the area of protection afforded by the armour must cover the main internal organs of the upper torso being the Heart, Liver, Lungs, Spleen and Kidneys. Traditionally armour shapes are designed with protecting these areas with for example shoulder rises to take into account the top area of the lungs etc. 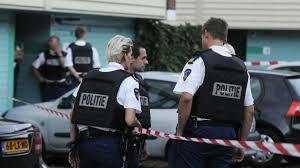 I have not to date seen any attempt by Police forces to accurately analyse the actual protective body armor coverage for the above mentioned vital organs, instead they rely on judging armour by means of total area coverage and award the manufacturers higher point for higher area of body armor coverage. 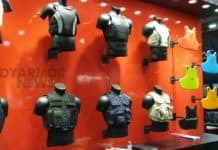 In relation to these facts I have witnessed that the vast majority of forces award more points to ergonomics trials than they do to actual area of body armor coverage and protection of internal organs, thus resulting in choosing an armour which gives the least protection but the greatest comfort. It is also only logical that the armour with the least coverage will also cost less to produce and hence will also score better in pricing. How do we encourage forces to value protection over comfort and to take this into account when choosing a suitable armour? Should there be a minimum template designed in terms of sizing and ergonomic shaping that more accurately determines area of coverage to the main internal organs? Should there be quality spot checks on supplied armour to monitor sizing provided by manufacturers? Should edge testing be utilized to determine the true area of protection? Should those who write the various standards police this? 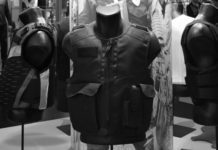 As a concerned body armor manufacturer I invite comments on the above topic from both manufacturers and end users, at the end of the day we are in this business to save lives. All comments are welcome.